A leading figure in the publishing industry, Phyllis Hoffman DePiano is the founder and chairman of the board of Hoffman Media. A native of Hoover, Alabama, and a graduate of the University of Alabama at Birmingham, she began her career as a Certified Public Accountant with a nationally known firm before founding, in 1983, a special-interest publication company now known as Hoffman Media. 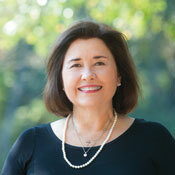 Phyllis is recognized industry-wide as a savvy businesswoman and talented entrepreneur. She serves as the creative engine of the company, which defines and celebrates the lifestyles of women through an ever-widening range of beautiful magazines, including TeaTime, Southern Lady, Victoria, and Taste of the South. In 2005, she partnered with restaurateur, author, and TV personality Paula Deen to create Cooking with Paula Deen, a lifestyle/cooking magazine that was the number one newsstand launch in its inaugural year. Since then, she founded The Cottage Journal in 2010 and Southern Home, Southern Cast Iron, Bake from Scratch, and Classic Sewing in 2015. Cindy is the editorial director of The Cottage Journal magazine and is vice president of Shelter Content for Hoffman Media. Previously, she was founding editor for Cooking with Paula Deen magazine and vice president of Editorial at Hoffman Media. She draws on her exceptional creative vision and more than 35 years of experience in the publishing business to develop compelling magazines and books. Among her titles for Hoffman Media and 83 Press are French Style with Vintage Finds, Classic Cottages, French Cottage, Cottage Style—A Palette of White, Christmas with Southern Lady, Entertaining with Southern Lady, Christmas Cottage Cookbook, Tiny Book of Mason Jar Recipes, Tiny Book of Pecan Favorites, Tiny Book of Sweets & Confections, and several other titles. An Alabama native, Cindy received her bachelor’s degree from Auburn University and joined Southern Progress Corporation in 1979. During her subsequent career within Southern Progress and Oxmoor House, Inc., she led creative teams in the publication of various books for Cooking Light, Southern Living, Weight Watchers, and Coastal Living. In her free time, Cindy loves spending time with her family, traveling, and creating beautiful home spaces. Brooke Bell is the vice president of Culinary & Custom Content at Hoffman Media, based in Birmingham, Alabama, where she directly oversees the editorial teams of Bake from Scratch, Southern Cast Iron, Cook: Real Food Every Day, Taste of the South, Louisiana Cookin’, andCooking with Paula Deen, as well as the test kitchen and all custom content development.Brooke was previously the editor of Taste of the Southand the editorial director of Louisiana Cookin’. She is the author of several cookbooks, including Fall Baking (August 2016) and Cast-Iron Baking(September 2017). Her next cookbook will be released in the fall of 2018. She is a member of the Southern Foodways Alliance and the Secretary of the Birmingham chapter of Les Dames d’Escoffier. When she’s not dreaming up new editorial projects and working with the talented creative teams at Hoffman Media, Brooke enjoys playing tennis, cooking for friends and family, perfecting the art of cocktail hour, and spending time with her husband and their Cavalier King Charles Spaniel. 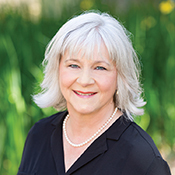 With the sure hand of a seasoned writer, Barbara Cockerham approaches her role as editor with the same appreciation for romantic living and feminine flair for which Victoria is renowned. Her love of the written word as well as her pursuit of elegance, sophistication, and style is evident in every issue of this women’s lifestyle magazine. A graduate of Mississippi University for Women, with a bachelor of science degree in nutrition and journalism, Barbara began her career at the Decatur (Alabama) Daily, where she covered lifestyle stories that took her from tea parties to weddings and high school plays to women’s club meetings. After a stint with daily newspapers, she cofounded Symbol of Excellence Publishers with Phyllis Hoffman DePiano when they launched the first publication devoted exclusively to counted thread cross-stitch. As the company grew, she served as executive editor of six women’s titles until the company was sold in 1996. 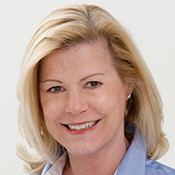 Barbara joined the newly formed Hoffman Media in 1998 and became editor of Victoria in 2007, when the company revived the title, which had previously been published by Hearst. The pages of Victoria reflect Barbara’s passion for decorating, gardening, cooking, and entertaining as well as her favorite pastimes: needlework, literature, antiques, and travel. 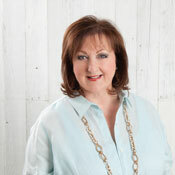 Editorial director Kathy McMakin brings more than 30 years of industry expertise with her to Classic Sewing. This Samford University graduate got her start at the Martha Pullen Company in 1981, when she began her needlework career. Since then, she has been instrumental in launching and developing heirloom sewing. Kathy is a master of the sewing arts and uses her creative talents to motivate and educate others as she fills the pages of this magazine with rich content. While attending the University of Alabama (prior to Samford), she met her husband, David McMakin, where she was a cheerleader and he was a football star. They now have two children and three grandchildren. Daniel Schumacher was introduced to lifestyle journalism while studying at the College of William and Mary in Virginia. 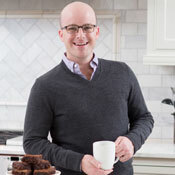 In the decade that followed, he worked with award-winning teams at Food Arts, Gourmet, and Cottage Living, among others, before coming to Hoffman Media. For six years, Daniel served as editor of Louisiana Cookin’ magazine, during which time he delighted in exploring the nuances of Cajun and Creole foodways and cultures. Along with his love of spicy crawfish and dark roux, similar passions for biscuits and barbecue led him to Taste of the South, where he currently serves as editor. 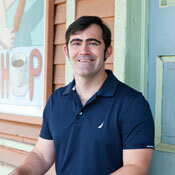 He continues to serve Louisiana Cookin’and its passionate readers as its editorial director. Lorna Reeves, editor of TeaTime magazine, was introduced to the pleasures of afternoon tea at the venerable Williamsburg Inn during a needlearts seminar years ago, and it wasn’t long before tea drinking became an essential part her daily routine. Lorna graduated with honors from Samford University in Birmingham, Alabama, and is fluent in Spanish, having spent her formative years in South America. She began her career at Hoffman Media in 1991. Her needlework skills and love for the art served her well during her tenure as editor of both Just CrossStitch and Sampler & Antique Needlework Quarterly magazines. Next, Lorna, an accomplished home cook, guided another Hoffman publication, Taste of the South, through its first five years before trading spatulas for teacups in her move to TeaTime in late 2009. (TeaTime received the award for Best Tea Publication at the 2014 and the 2015 World Tea Awards.) 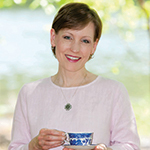 Lorna has been a panelist and a panel moderator at World Tea Expo and speaks at tea festivals throughout the United States and Canada, as well as for civic groups and at women’s ministry events. After visiting tea estates in Sri Lanka and India in 2016, Lorna truly has a new appreciation for the wonderful beverage and the people who produce it. Lorna and her husband, Brent, are the parents of two adult children and reside in Hoover, Alabama. A graduate of The University of Alabama, Nancy has been working in communications for almost 20 years. The Birmingham, Alabama, native moved to Atlanta, Georgia, immediately after college, where she began her career working for a healthcare nonprofit, followed by a trade association, and then transitioned to digital publishing. 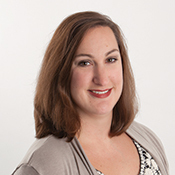 She returned to Alabama in 2012 and joined Hoffman Media as a copy editor. She has since been promoted through all editorial levels and served as managing editor of Cooking with Paula Deen magazine before becoming editor of Southern Cast Iron magazine. She is a member of the Birmingham Museum of Art and the Birmingham Zoo and enjoys traveling, attending concerts, and going on adventures with her young nephews. 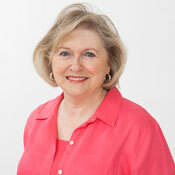 Lynn, a native of Jacksonville, Florida, has lived and worked throughout the South. 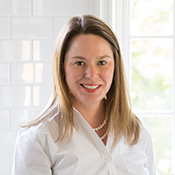 She has served as the vice president of administration at Hoffman Media in Birmingham for 11 years and has overseen a variety of special projects and events, including the construction of test kitchens for the company’s food publications. She started her career in healthcare financing, but as a devoted student of design, found her way into the field while living in Dallas 20 years ago. Lynn has a degree in economics from Davidson College, as well as a master of business administration and a master of health administration. When not scouting houses and styling photo shoots, she spends her time antiquing, reading, and enjoying her family.